Venezuela: No pork? Blame Portugal! Local media and Twitter users posted images of hundreds of people standing on streets and burning trash in protest at the shortages, in what some social media users dubbed the “pork revolution”. Maduro, who has been alleging a foreign-led “economic war” against his government, went on state TV to blame Portugal for failing to deliver pork imports in time for Christmas. “What happened to the pork? They sabotaged us. I can name a country: Portugal,” Maduro said. “We bought all the Pork we had in Venezuela. We bought everything,” he continued. “We were chased by two giant ships that came and sabotaged us, but only for now”. And here I thought I was starting to run out of absurd Maduro stories. Says the guy who couldn’t deliver the bacon. How do they say “when pigs fly” in Venezuela? The US has imposed sanctions on 10 Venezuelan officials it accuses of undermining democracy, corruption and censoring the press, for a total of forty, including Nicolás Maduro. The ten have had their US assets frozen and are also banned from travelling to the country, while American businesses are forbidden to work with them. The treasury department also issued bans against several members of Venezuela’s all-powerful Constituent Assembly, including a vice-president. Ambassadors of European Union member states agreed on Wednesday to impose an arms embargo on Venezuela. They also said there would be a ban on any equipment which could be used to repress opponents within Venezuela. The sanctions come after a UN report released in August accused Venezuela of human rights violations and using excessive force against the opposition. Caracas Chronicles calls it A Bad Day for the Dictatorship. Not bad enough. They’re still in charge. Venezuela: Default brings upside for Maduro? “Maduro can’t restructure the debt because nobody in the world trusts his government,” said Julio Borges, the head of the National Assembly. Mr. Maduro announced plans on Friday to convene bondholders in Caracas on Nov. 13 to negotiate a debt restructuring on the country’s foreign debt, estimated at between $100 billion and $150 billion. However, investors said that U.S. sanctions that restrict financial institutions from investing in new debt instruments issued by Venezuela’s authoritarian government make a deal unlikely, triggering a messy and prolonged default. By stopping payments on the debt, Mr. Maduro could double the funds he has earmarked for imports next year by holding back on some $1.7 billion in bond interest payments due in the remainder of 2017 and about $9 billion in 2018, according to Eurasia Group, offering relief—albeit brief—for a fast collapsing economy plagued by galloping inflation and chronic food shortages. Why next year? Because of presidential elections. Even with rampant vote rigging, there’s still a facade to be kept. Yesterday Venezuela held elections for its 23 state governors, and as usual, amidst more fraud. Of course, Maduro’s party, the PSUV, won. Mary O’Grady writes on Venezuela’s Latest Election Fraud. Maduro allowed the phony balloting only to preserve the illusion of democracy. Sunday’s exercise in the Cuba-backed dictatorship was a sham. And then polling stations were relocated. Caracas Chronicles looks Down the Sketchy Election Fraud Road, Again. Venezuela’s political crisis has bled into widespread food and medical shortages for some time now, causing families to travel to neighboring countries such as Colombia in search of basic healthcare and vaccines for children. Trashing medicine in a country where it’s desperately needed was painful, doctors said. But if they were caught giving it away — or even worse, selling it — they would be kicked out of the mission and sent back to Cuba. And regular audits of their supplies meant they needed them to match their patient count. “You have to understand that Venezuela pays Cuba based on statistics, not based on what’s really happening in the clinics,” he explained. Dentists are particularly under the gun because Venezuela pays for their services in cash, as opposed to crude, workers said. In his speech at the conference, Padrino López expressed Venezuela’s concern over the cooperation agreement signed between Venezuela’s neighbor Colombia and NATO, in order to fight “organized crime.” “NATO has a sad history of warlike actions in the past… NATO is an organization with high operational character and a history of aggression,” he stressed. 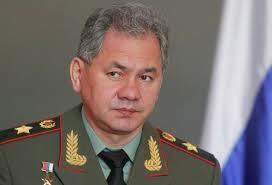 Not much is known for Shoigu, the man who is supposed to lead Russia after Putin steps down as president. If the name sounds familiar, Shoigu is the guy who said in 2014 that Russia intends to install military bases in Vietnam, Cuba, Venezuela, Nicaragua, the Seychelles, Singapore and several other countries. In Venezuela, Maduro depends on Russia, Iran and Syria for financial and strategic backing. The opposition to Mr. Maduro also is up against an array of international antidemocratic forces. The cabal is run by Cuba on the ground but backed financially and strategically by Iran, Russia and Syria. These countries have been preparing for many years for a conflict that would establish Latin America’s “new world order.” They would also welcome the inevitable refugee crisis. Read also Memri‘s May 2017 analysis of Russia-Venezuela relations. Meanwhile, here in the U.S. the major media outlets carry on with a RussiaRussiaRussia narrative for which there is no evidence.